It was in 2006 when, once a year, a group of stellar musicians and stars of rock started meeting up in London for a night of live music. The main intent was to raise money for a charity called The Sunflower Jam. At first the rumours about these sessions with Deep Purple, Robert Plant, Brian May and Alice Cooper were too good to be true, to the point that a few thought that they were nothing else than an urban legend. "The Jam" as it soon started to be called quickly became a cult night. A real must first of all for the artists themselves, finally free and happy to leave their commercial thoughts outside the venue and able to enjoy playing music together with colleagues, friends and maybe even secret rivals and for the audience, who often could simply not believe their eyes. The Sunflower Jam started as an idea from Jacky Paice, who very often could count on the drumming of her husband Ian. Who would turn down playing with him? The first editions were mainly open to guests and music business professionals that would contribute to the charity. Later "The Jam" became too good not to be available for the public. It is in one of the earlier SFJs that Jon Lord played for the last time with his friends with Deep Purple, duetting in a peaceful "war of hammonds" with Don Airey, who had replaced Lord in Deep Purple when he decided it was enough with a life spent on the road, and after a lifetime dedicated to rock and roll, Lord left to concentrate to his first love: classical music and the combination of rock elements in it. 2014: "The Sunflower Jam" is a now a regular sold out event. The fourth one at the Royal Albert Hall. A night of great music but also an explosion of joy and will to live. Jon Lord sadly passed away in 2012. Just a few weeks before the release of the just finished remake of what is universally known as the first ever meeting of classical music and rock. The "Concerto For Group and Orchestra". The same composition that Purple played live in 1969 at the Royal Albert Hall. 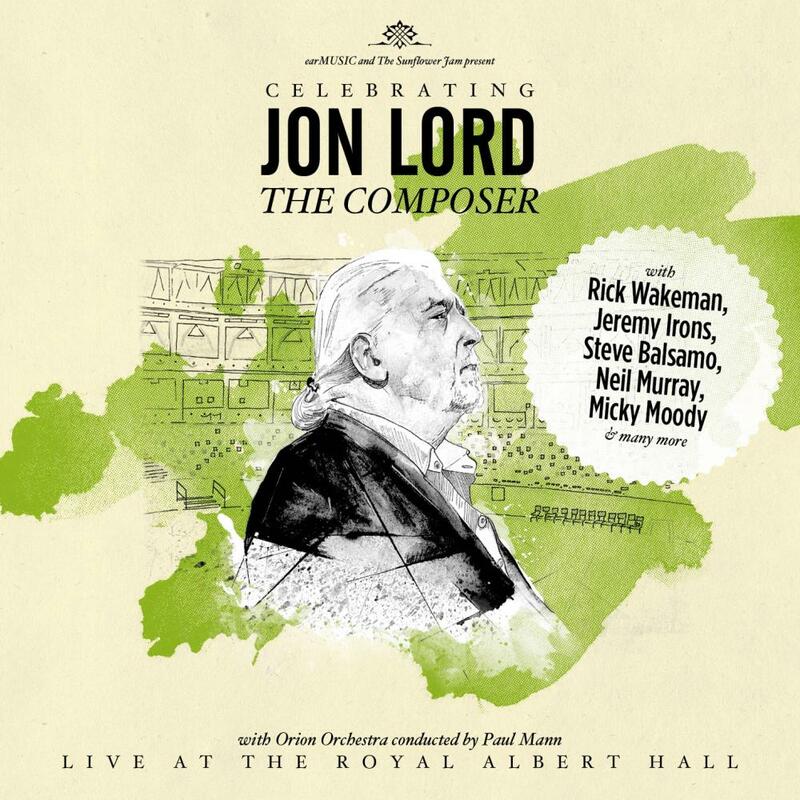 Considering the amount of respect, friendship and love expressed on any occasion by anybody who had worked, played or simply met Jon Lord, it is not a surprise that the 2014 Jam would be dedicated totally to his music. The night turned out to be an historical moment in rock music: A full orchestra, a director - Paul Mann - crazy enough to give wonderful arrangements to a repertoire going back and forth through fifty years of music, many old friends for an unforgettable night. Jon’s big musical loves were in the room, once again: same venue, many years later, many of the same people involved, a million times more the amount of emotions. For four hours Jon’s music was shining. Commotion, jokes, laughs and a lot of music came together by magic. The result is the show you can now hear and watch.